Our first aim : quality! “Everyday in the field and to ensure first quality fruits, Harmonie guarantes that all fruits packed in our brands respect its strict specifications with a constant care of clients satisfaction and build loyalty partnership”. F. Delfosse, Quality Manager. The orchards are managed and monitored by teams of engineers and technicians always at the forefront of new technologies. Environmentally and health conscious quality fruit, our producers are involved in GLOBALGAP certification process and PFI. 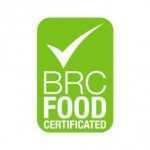 The production is certified GLOBALGAP ( European standard for environmental and food safety). The ” Integrated Fruit Production ” is progressive approach reducing treatments application with a precise study of orchards ecosystem. 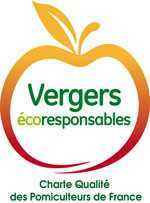 The growers give priority to environmentally safe methods to offer high quality fruits : our orchards management are environmental friendly – “écoresponsables”. BRC and IFS certification is a guarantee of strict compliance with hygiene and food safety standards during all the fruit process, from the storage (fruit preservation storage) to fruit packing and shipping. We invest every year in the latest preservation technologies (Extreme ULO system, CA storage, …) and initiate regular studies. We constantly improve our traceability and quality control system.